So here it is – the bag post! Designer handbags are my second biggest passion, and I could not resist from writing about them! 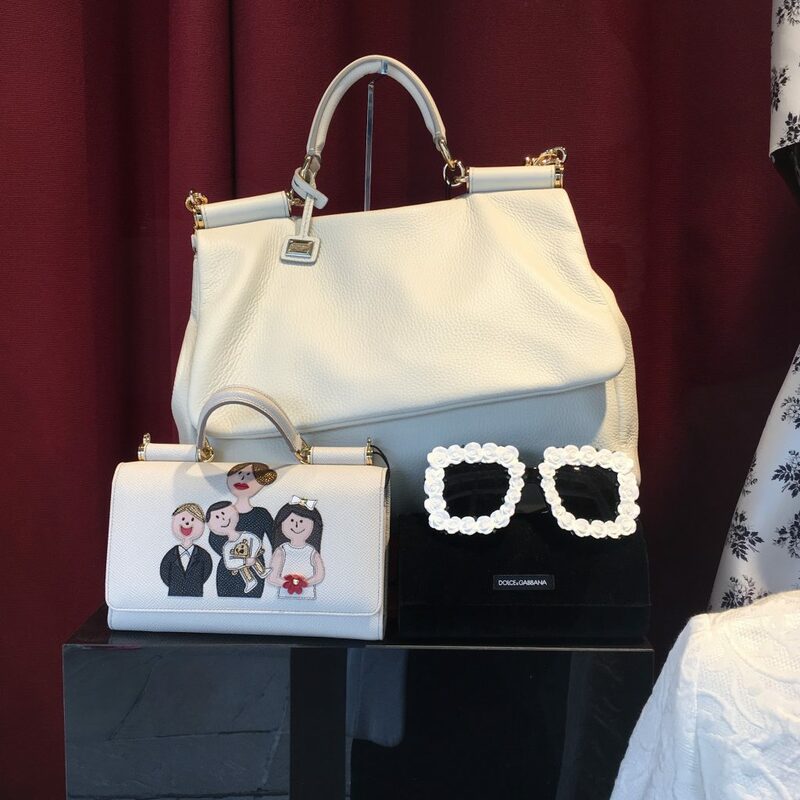 I love searching for the handbags in the stores, online and browsing in the pre-loved shops. I also never regret spending my money on them, but I am aware I make mistakes. One of the biggest fails I do is acting too fast. In German they say ‘auf willhaben gekauft’ and it means an item bought without thinking it over. This is exactly what I was doing. Some of the most important features you have to be looking at when buying a luxury item are the color, the material and the price. 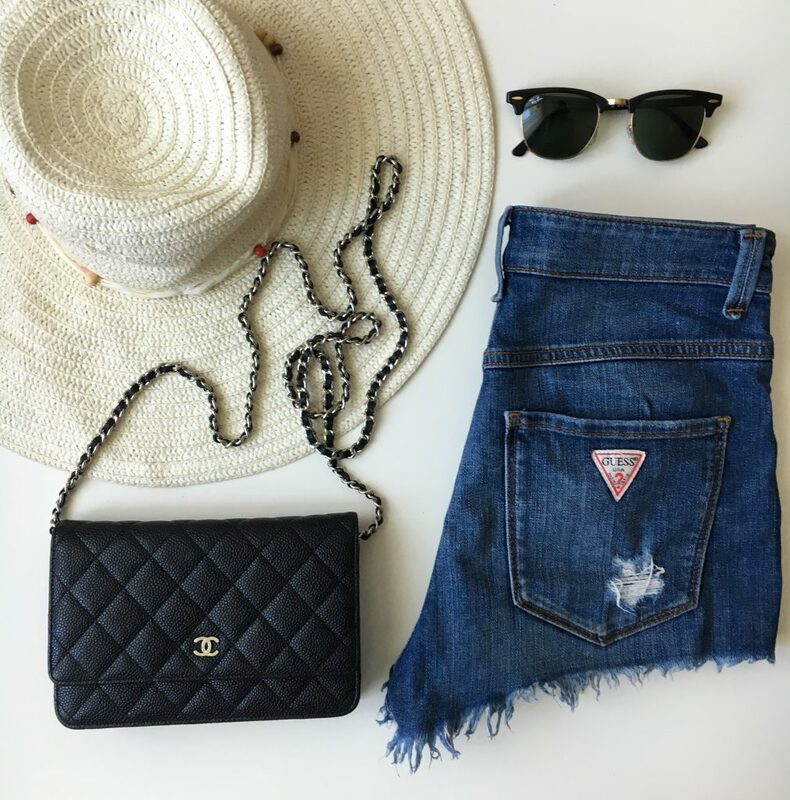 Some designer bags hold its value and are a very good investment (Chanel Classic Flap or Chanel 2.55 for example), but you would be surprised how low the price can get after ripping the tag off. The so-called safe colors are black and every shade of beige. They suit the majority of outfits and shoes, so they will always be considered a good purchase. I recently got a dark chocolate Lady Dior and it is super presentable – I recommend this shade as well. The way I see it, every woman has to have at least one red bag in her closet, but I am aware people are afraid of this shade, so it is not a ‘safe purchase’. The leather handbag is the best investment. It is not irresistible, but let’s face it – it’s the longest lasting fabric when it comes to bags. Canvas handbags are also a good buy (Gucci Blooms /Dionysus), but not even close as good as the leather version. As a matter of fact, I saw quite a lot of Gucci bags in canvas kept in a mint condition, so it would surely depend on how you plan to deal with your bag, but in general – focus on leather. As for the price – Farfetch, Mytheresa or Matches Fashion offer some really good discounts of 10% or 20% when the sales are on. It is definitely worth having a look at the end of December/in January. The reduced purses are usually the seasonal ones, but you might score a very good price for Chloé or Fendi. I also search on Vestiaire Collective, which is a European online store for buying and selling pre-loved luxury goods. You are promised to have your purchase carefully checked by their experts. I would also recommend to just be very careful and look into tiny little details. The best option is to educate yourself in designer boutiques. I admit – I thought I am getting a bigger purse when I ordered. What was I thinking? I was (kind of) aware of the measurements, I must have imagined the bag (I would prefer to refer to it as a cardholder on a strap) to be a bit bigger. This was a valuable lesson – don’t make my mistake and try the bag on in store before purchasing, especially when the item is so pricey. 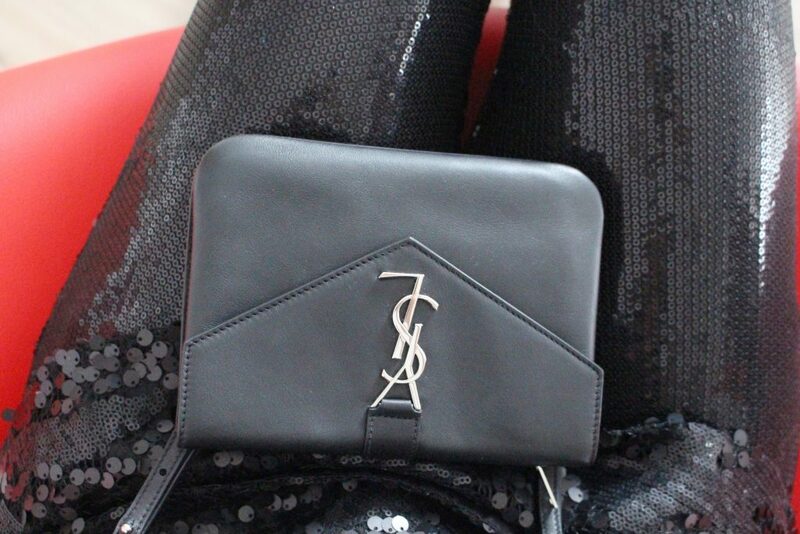 It was, however, one of the cheapest Saint Laurent bags ( around € 770), so I guess that was the reason I got it. Saint Laurent Tri Pocket Bag is not a good purse. The strap looks poor and it does not look nice against the female silhouette. It looks more like a card holder on a leather strap rather than a luxury purse. I can’t imagine this would suit an evening dress! But well, I sold it and I hope it found a new owner who loves it. Tri Pocket holds its value, which made it really difficult to sell for a reasonable price. The majority of my friends say it is the most beautiful bag they have seen me wearing. Let me make this pretty clear – I agree it is lovely, but I had to put it on my ‘worst list’ because of two reasons. The first cause is its overall presence. I remember being in New York for the Fashion Week in September 2017 I counted 10 of them in around 15 minutes! I am aware the high street chains get inspired by the shape of an original Faye, and you can get it on the high street for s very reasnable price, but too much is too much. It IS a trend bag, which means it does not hold its value at all. I sold it for a bit more than a half of its original value ( € 1,050), so I would definitely recommend to get a pre-loved version if you really want to have it! Another reason for giving it away was the lovely suede. It got incredibly dirty – as you can see on pictures below. Suede is in general very very very demanding fabric when it comes to handbags, and my Chloé Faye has taught me never to purchase suede bags again. The best bag I have had so far. At least the best Prada bag. 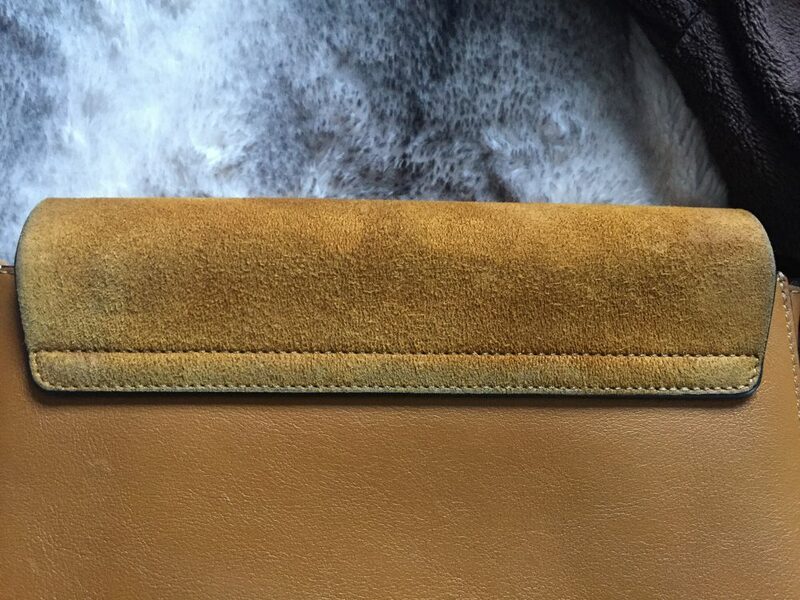 The Saffiano leather makes it look like brand new and does not show any damages and scratches. Apart from that, it fits my laptop ( Asus Zenbook/ Macbook Air), books, cosmetic bag and I once managed to pack my daily supplies for a day trip from Berlin to London. It looks incredibly stylish, chic and timeless. It does not hold its value, as the majority of Prada handbags, but it does not matter in this case. You buy for years of using, so you agree for the lost. The best place to buy Prada handbags are the outlets. Prada has got quite an impressive number of outlets, at least in compare to the rest of the luxury brands. I got mine at Bicester Village outside London, but I heard there are even better choices in Montevarchi outside Milano. Perhaps an idea for a holiday trip? 🙂 I also saw this bag is a best seller on ebay, but I would be extremely careful with purchasing them second hand. Chanel WOC was such a lovely bag! I regret selling it, but I plan to buy the exact same version in beige for my wedding. What I didn’t like (as a matter of fact, I now think I was over-exaggerating) was the length of a chain. It was a bit too long, but I figured the bag could also be worn as a cross-body. The quality is a-maaze-ing and it fits quite a lot of looks as for such a small purse. Chanel WOC holds its value and it will always remain very popular- I sold it within a couple of days (which was probably a sign the price was waaay too low :P). You can buy it at London Heathrow with a disconted price, which is quite unusual. You’ve got a lovely selection! That Chanel bag definitely is my favourite. Great review! Chanel is definitely my fave, always! That Prada Saffiano Lux Galleria Double Zip Tote is definitely gorgeous! Love the styling, and the size is just simply practical for every woman. ha! Your tips and opinions are really helpful for when I would plan to buy a designer bag. Thanks for this! I love the Chanel bag. Would look great on anything. I also really love leather bags! Love this! Great reviews, and super helpful!! You look lovely! You definitely cannot go wrong with Chanel thats for sure! I always tend to focus on buying leather too unless its at Louis Vuitton and I always stick to LV and Chanel because they tend to retain value the most! Wir haben ähnlichen Geschmack! 😀 Ich habe ein gleiches Kleid. I’m a bag-addict and this post is really interesting! What great handbag info! 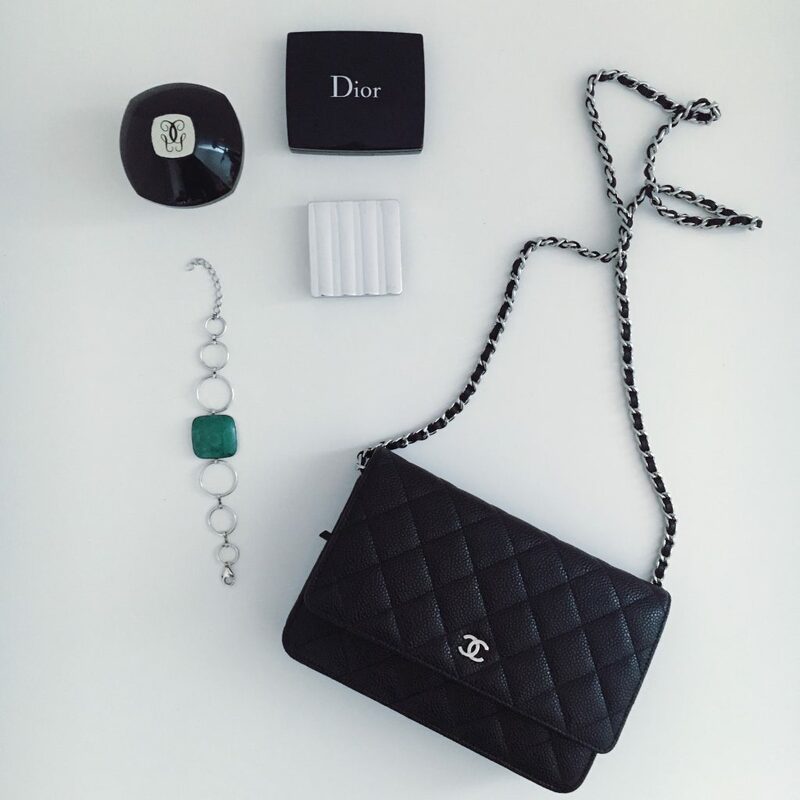 I appreciate you candor and would love to get the Chanel Quilted Wallet! Thanks for breaking it down about the bags. That is a shame the YSL is smaller and cheaply made. I’m with you and the Chanel will always be the top choice. Lovely Post, very intersting and I enjoyed reading it. So true about the suede leather, too! I also feel it is so hard to keep it beautiful over time! Thanks for sharing! So interesting to read! I agree, that there were too many similar “Chloe bags” everywhere around, especially on Instagram. If I decide to spend so much money on bag, I must be sure about the purchase 100 percent. Wow looking so beauty. Bag are really beautiful design. I like this bag. Great blog. I found this much useful info about designer bag. Thanks a lot for this beauty Enjoying article with me. I appreciate it very much!